One of Australia's most stunning destinations. A must see for every Island lover. All aboard as we head off to Melbourne for our flight to Brisbane. On arrival in Brisbane be transferred to your overnight accommodation the Ibis Brisbane Airport. This morning make your way down to have a delicious hot and cold buffet breakfast. 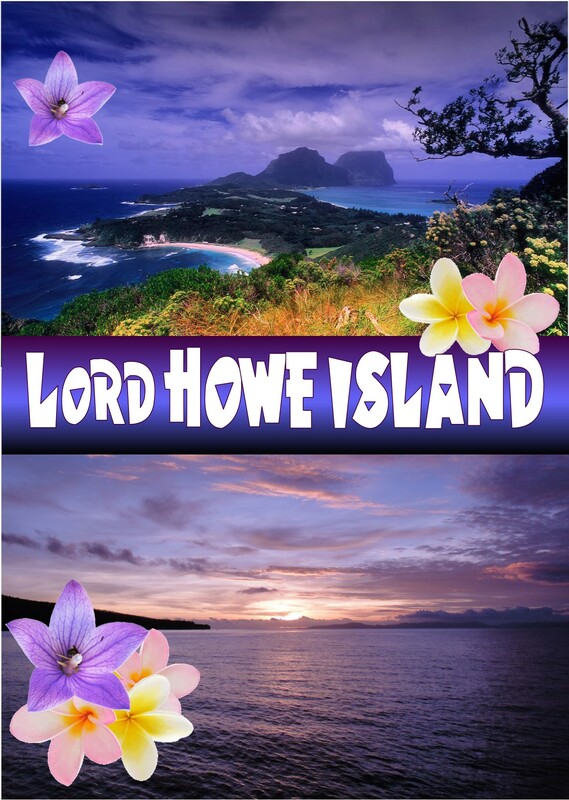 Once checked you will be transferred to the Brisbane Domestic Terminal for your flight to Lord Howe Island. Once arrived in Lord Howe Island you will be transferred to the beautiful Somerset apartments which will be your home for the next six nights. Somerset apartments are situated on Neds beach which is perfectly located near the shops, cafes and local walking tracks. Take the afternoon to explorer the Island or maybe pop down to the Cafe to use your free coffee and muffin voucher. Dinner will be a three course meal served at the Beachcomber Lodge. This morning half of the group will take a refreshing Island Bus Tour introduction on what to do on Lord Howe, where to go and how to do it. Learn everything about the island there is to know. Meanwhile the other half of the group will take part in an Around Island Cruise. The 2 hour cruise enables passengers to relax and enjoy the breath taking views all around Lord Howe Island including the spectacular image of Balls Pyramid creeping up in the distance and sheer mountain cliffs. During part of the 2 hour cruise you will approach the Admiralty Islands which are home to a large percentage of the Islands bird population. After lunch at the Coral Cafe the two groups will swap and enjoy the other activity, then followed by an informative Ian Hutton talk at the local Museum. Ian is a local Islander with enormous knowledge of the Island. A 2 Course Dinner will be served at the Coral Cafe. This morning we enjoy a leisurely breakfast, following by a free morning to do as you please. Maybe take the opportunity to do some more island exploring, or simply relax and take in the beautiful surrounds. In the afternoon we take part in Coral Viewing with Environmental Tours. This two hour tour focuses on exploring the profuse coral seascape and introduces visitors to some of the more unusual lagoon inhabitants such as the endemic double-header wrasse, stingrays and turtles. This tour provides an optional snorkelling experience at Erscotts Hole or you can just relax on the boat and view the stunning diversity of the exotic marine location. Dinner tonight will be a 2 Course meal at the Bowling Club. This morning following breakfast, we head off for a wonderful day tour as we take part in the North Bay Turtle & Nature Tour. View the large variety of fish, turtles, stingrays and amazing corals of the worlds southernmost barrier reef on our glass bottom boat, Adventure One. While exploring North Bay you can climb up Mt Eliza, walk to the Old Gulch or Herring Pools, view the sea bird rookery (seasonal), swim or just sit and laze the day away. Amazing snorkel opportunity is provided through our optional snorkel of the wreck of the Favourite ran aground here in 1965. Just before dinner go an enjoy three short historical movies from the flying boat days, held at the Community Hall. Tonight enjoy a two course dinner at the Anchorage Restaurant. Following Breakfast spend the last day on the Island as free day to do some of your own exploring. Walk on the beautiful trails, snorkel with some of the most vibrant marine life or simply laze on the beach. This Island also has a fantastic Golf Course for those that would like a hit as well as many other optional tours to take your pick from. Around Lunch time Lunch will be waiting at the Coral Cafe. For Dinner tonight a 2 Course will be provided at the Golf Club. This morning we enjoy breakfast and then head out on our Walk to Little Island with Ron. Walk the Little Island Track to view the spectacular aerial courtship displays by the winter breeding providence petrel. One of the worlds rarest birds, the providence petrel returns to the island to nest and can be called out of the air, landing at your feet and even climbing into your lap! Today lunch is at the Golf Club. Tonights 3 course dinner is at the Beach House on the Moon Restaurant at Milky Way. Following breakfast, we have a leisurely morning before making our way back to the main land. When arriving back to Melbourne going via Sydney you will be transferred to the Best Western Airport Motel and enjoy a two-course dinner. Have a relaxing start to the day today, enjoy a delicious breakfast before returning back to your original locations.